True Oriental rugs or custom-designed floor coverings are considerable investments. Like all other large investments, a rug needs regular maintenance and care to keep its value. Who can you trust in El Dorado Hills to clean your Oriental and custom rugs? Rytina Fine Cleaners, Allied Custom Upholsterers and the area’s finest interior designers point their clients to Artistic Associates for full-service cleaning and maintenance of rugs and flooring. Our 8 step custom made area rug cleaning process is safe and effective for all different fiber contents – wool, silk, nylon, olefin, etc. We have developed successful methods for treating damage from moths, pet urine and various other stains. Be sure to check out our custom cutunderlayment as well. A solid foundation for your rug will help it to wear more evenly and also protects the flooring beneath your rug. 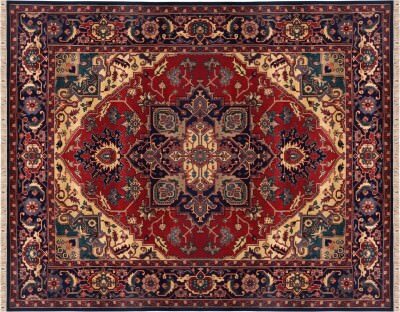 An ordinary carpet cleaning company is seldom qualified to repair an Oriental rug. Most carpet cleaning procedures, designed for synthetics, actually damage the natural fibers common in custom floor pieces. Oh, that inexpensive cleaner may be insured for damage to your favorite rug, but you are not interested in replacing it. You simply want to clean it! Artistic Associates has more than forty years of experience with Oriental rugs and specific training from the Institute for Inspection, Cleaning and Restoration. This expertise is essential if you want a “like new” rug, instead of the hassle of making a claim and shopping for a replacement. Artistic Associates treats your wool, silk and traditional Oriental rugs in our own facilities. Your rug is cared for by hand, not with machines, and routinely returns to you looking fabulous. Artistic Associates is fully insured and bonded. We are the area rug cleaning service El Dorado Hills can trust! Let Artistic Associates prove to you how effective cleaning really is an art. You may contact us at 916.483.7400. We look forward to working with you!